Christmas is a busy time of year. It can be hard to keep the kids entertained while harnessing their excitement. Or maybe you need a break from the Christmas hustle and bustle? Visit us each day during the week leading up to Christmas for a range of fun free events for kids and parents at the Library. Please note that children under 14 must be supervised by an adult at our Christmas events. Every morning from 11:00am we will have a Christmas story and craft to complete. This will be a magical event for kids who love Christmas time! There will be Christmas stories and Christmas decoration making. Kids can even take what they make home, with no cost or mess at home for you! Each day we will be making a different decoration so you can attend as many sessions as you desire! Every afternoon between 2:00 – 4:00pm we will have a fun, free activity for kids. No registrations are required, just come along and join in on the fun. 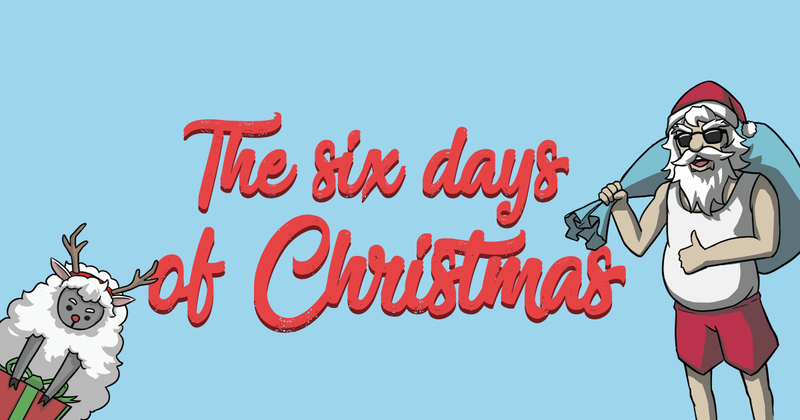 before Friday 21 of December, and you could win a Christmas themed book! Entries are available from the Library.